Set in the fishing village of Craster, Northumberland, Billy is by far the naughtiest boy around. 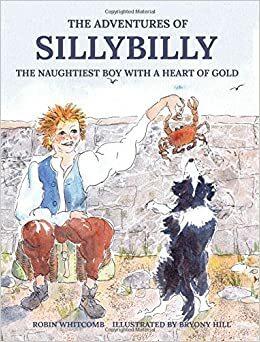 Sillybilly: The Naughtiest Boy with a Heart of Gold is an ideal read for children aged 7-9 years old and has beautiful watercolour illustrations throughout. Sillybilly is the heartfelt tale of young Billy's heroic actions as he battles against the sea in search of fish with his uncle Jim. Billy's mother Meg has had to bring up Billy on her own following Billy's father's death at sea. At school Billy is a complete nightmare - his headmistress has reached breaking point, but secretly she has always believed that there is something truly special about Billy. Uncle Jim is Craster's most legendary fisherman. Determined to fight against the worst storms the village has ever experienced, Jim and his faithful crew set sail out into the tempestuous sea in search of a big catch. Billy already knows their plan and has secretly hidden at the bottom of the boat with his dog Jasper. Against the momentous waves, Uncle Jim and his crew run this boat aground on the rocks outside the harbour and the fishing nets tangled themselves. Without any consider for his own safety, Billy jumps out of the boat to untangle the netting entwined o the rocks. With great success, Uncle Jim, his crew, and Billy make it back to Craster safely and word soon spreads of Billy's heroics. Sillybilly is a moral tale that demonstrates the importance of caring for others and going above and beyond for those you love. This book will appeal to children with a love of adventure stories, particularly those with an interest in the sea and fishing. consider issues that they plainly do not know about.